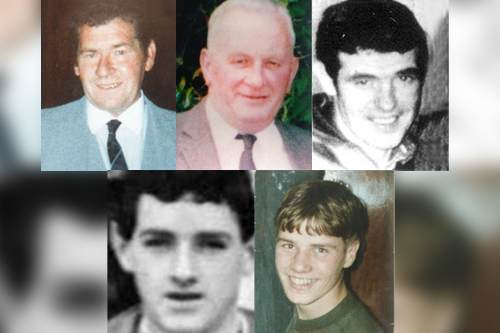 THE families of five men killed in a UDA gun attack 20 years ago will this morning reveal new evidence which they say questions whether there was ever a proper police investigation to bring the killers to justice. Sean Graham’s bookmakers on Belfast’s Ormeau Road was filled with 13 customers shortly before 2.30pm on February 5, 1992 when two masked loyalist gunmen burst through the door. In less than 20 seconds the gunmen fired 46 rounds hitting all but one of those trapped in the tiny room. Jack Duffin (66), William McManus (54), Christy Doherty (52) and Peter Magee (18) were all killed outright as one gunman opened fire with an assault rifle while an accomplice walked through the shop shooting the dead and injured as they lay defenceless on the ground. Fifteen-year-old school boy James Kennedy died on arrival at hospital. This morning a new report, compiled by the victims’ families and Relatives for Justice support group, will cast major doubt over the original police investigation into the atrocity. It is just the latest report, following Loughinisland, McGurk’s Bar, Claudy and the murder of Mary Travers in which it is claimed police failed to carry out a proper investigation into the killings. 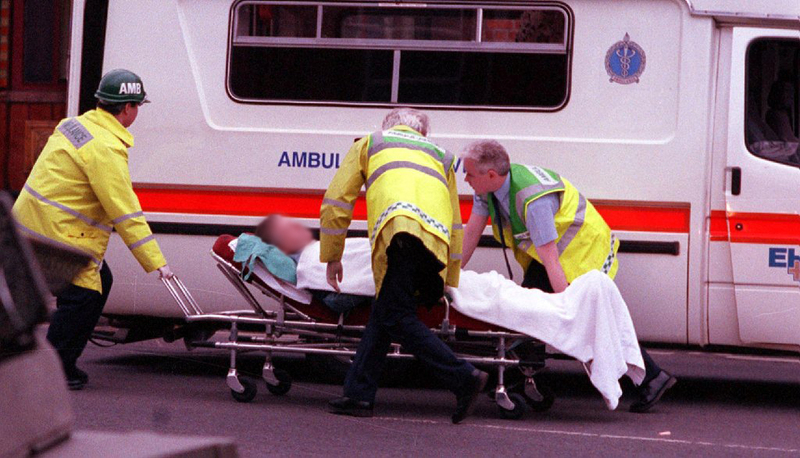 “The scene was horrific with bodies everywhere,” paramedic Harry Whan recalled following the 1992 attack. Immediately after the attack the gunmen calmly walked back across the Ormeau Road to a waiting getaway car. Despite eyewitness identification of the killers and forensic evidence recovered from two getaway cars no one has ever been brought to justice for the atrocity. In 2003 the Irish News revealed how one of the weapons used in the murder had been in the possession of RUC Special Branch three years before the attack but that police had handed the gun back to the UDA. Police procedures meant the weapon should have been bugged and a plan put in place to prevent it being used in further attacks. The Browning pistol was subsequently used in a gun attack on the Devenish Bar in west Belfast in December 1991 in which Catholic civil servant Aidan Wallace was shot dead dead and an eight year-old boy was blinded in one eye after he was shot in the face by gunmen. Six weeks later the weapon was used in the Ormeau Road attack. Special Branch later claimed it had deactivated the weapon before handing it back to UDA Quartermaster Billy Stobie in November 1989. However victims’ families say they have now uncovered new evidence which contradicts the Special Branch claims and raises major concerns that no serious effort has ever been made to catch the UDA killers. In 2010 the families were informed by the Historic Enquiries Team (HET) that police had “disposed of” interview notes of two loyalists who’d been caught in possession of the Browning three months after the bookmaker’s attack. Despite being caught red handed with the murder weapon, neither man faced any charges in connection with the bookmaker’s massacre. It would later emerge that one was the son of an RUC man. Two senior detectives who headed the investigation into the bookmaker’s murders failed to co-operate with the HET inquiry into the killing. Documents have come into the possession of the families which contradict police claims that the murder weapon had been deactivated by Special Branch and that the interview notes of the two murder suspects had been destroyed. In October 2011 the families’ solicitor obtained papers from the Court Service relating to the arrest of the two loyalists who’d been found in possession of the murder weapon three months after the attack on the bookmakers. The documents included the police interview notes of the two gunmen, which the families had previously been told had been destroyed. Despite having been found in possession of a weapon that had killed six people and injured ten others the police interview notes reveal that neither man was questioned about the bookmakers or Devenish Bar attacks. However, the families are also now demanding answers after a forensic report disclosed in the same papers contradict Special Branch claims that it had deactivated the weapon. Mark Sykes was shot and seriously wounded in the 1992 attack, while his brother-in-law Peter Magee was killed. Mr Sykes says there are now serious questions in relation to the events surrounding the bookmaker’s massacre. “Special Branch always claimed that this Browning pistol had been deactivated but the forensic scientists who tested it when it was recovered three months after the massacre clearly show that it was in full working order,” he said. “This points to the fact that Special Branch gave this weapon back to the UDA knowing that it was capable of murder. “It went on to kill six people and injure 10 others. 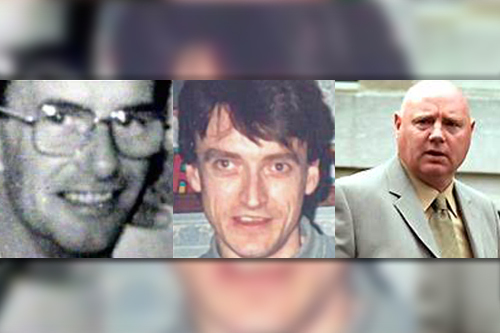 “Now 20 years after the massacre we discover that when police found it in the possession of two known loyalists three months after the atrocity they didn’t even ask one question about the attack? The families are now calling for a full public apology from Prime Minister David Cameron and a new independent review of all the evidence in the case. “Even before we uncovered these hidden documents there was clear evidence of security force collusion in these attacks," Mr Sykes continued. “The guns were `stolen’ from Malone UDR army barracks by Special Branch agent Ken Barrett one month before he killed Pat Finucane. “Barrett gave the guns to another Special Branch agent Billy Stobie. “We now know Stobie’s handlers gave him back the weapons without making any effort to ensure they couldn’t be used in further attacks. “We know that the rifle used in the attack was part of a consignment brought into Ireland by British army agent Brian Nelson specifically to rearm loyalism. “This new evidence brings into question the whole issue of collusion in this case and why police decided to drop murder charges against notorious loyalist Raymond Elder without any explanation in 1992. “The families also make an impassioned plea to the conscience of members of the RUC, the CID, Special Branch, PSNI, HET, British Army, PPS, Forensic Science Laboratory and anyone within the intelligence agencies who know anything or who can shed more light on these killings and what went on behind the scenes to please come forward. “The families also appeal to anyone from the loyalist community who has any information to please come forward.